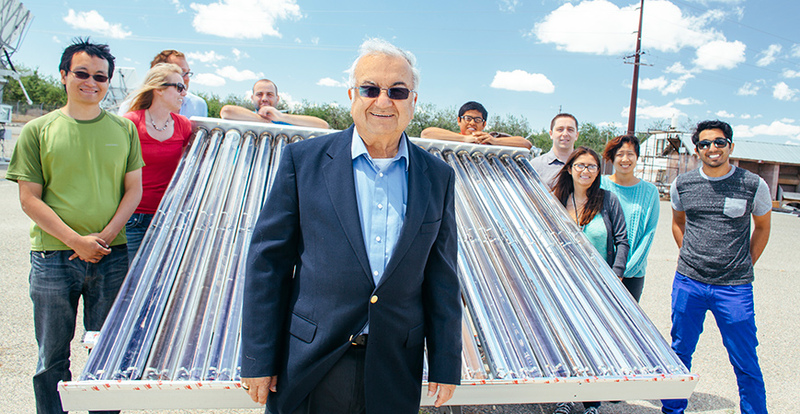 Roland Winston's groundbreaking solar energy research has found a home at Castle. The University of California, Merced, was established in 2005 — or so the story goes. The main campus officially opened in September of that year, but that particular reading of history elides a more colorful backstory. UC Merced didn’t spring into existence when developers broke ground on the main campus. Its founding was a tremendous undertaking that required extensive planning. Most of that planning occurred before the official groundbreaking, and much of it took place on a former Air Force base. “Castle was the campus in every sense of the word,” said Vice Chancellor for Research & Economic Development Sam Traina, who joined the university in 2002 as founding director of the Sierra Nevada Research Institute. Located in Atwater, some 12 miles east of the main campus, the former Castle Air Force Base was the home of UC Merced from 2002 to 2005. Everyone, from the first cohort of graduate students to the founding chancellor, called Castle home. Castle was where the founding administrators assembled in 2002; where the founding faculty established their research labs in 2003; where a small cohort of graduate students attended the first classes UC Merced ever offered in 2004; where university librarians staged the books that would become the stacks when the Leo and Dottie Kolligian Library opened in 2005; where the initial undergraduate and graduate curriculum was developed; and where UC Merced became a university. Before Castle, UC Merced consisted of a few offices scattered throughout the San Joaquin Valley. There were satellites in Bakersfield and Fresno. There was a converted dentist’s office in Merced. When UC Merced leased Castle in 2000, the university finally had a site that could accommodate students, faculty and staff, even if that campus wasn’t immediately habitable. “The roof leaked. There were snakes and foxes in the buildings and in the ceiling. There was a men’s room in one corner of Castle where they found an empty beer keg,” said Deputy University Librarian Donald Barclay, who joined UC Merced in 2002 as the second library staff member. Disarray was to be expected. The site suffered from years of neglect after the military decamped — long before UC Merced was even a glimmer of an idea, Castle was thriving U.S. Air Force base. A news clipping from the 1940s shows the base when it was still in operation. 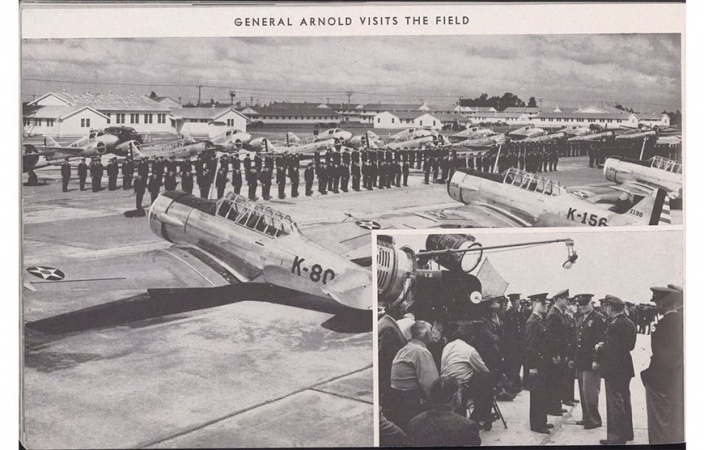 Opened in 1941 as the Army Air Corps Basic Flying School, it was twice renamed before being rechristened Castle Field in 1947 to honor Brig. Gen. Frederick Walker Castle, who was killed in action during World War II. In 1948, not long after the Air Force and Army were split, it was designated Castle Air Force Base. The base was shuttered in 1995, but the Castle name endured. Five years later, UC Merced signed a lease on Castle’s deserted engineering buildings. After undergoing extensive renovation, UC Merced’s Castle facility opened in 2002. It was more than just a temporary outpost. When the main campus opened in 2005, the library was the only building in operation. And though the library could accommodate classroom instruction, only Castle had facilities appropriate for laboratory training. Shuttling came to an end when the first Science & Engineering Building opened. But that didn’t mean the science at Castle came to a halt. On the contrary, some of the university’s most innovative research is still carried out at Castle. Castle was the campus in every sense of the word. Castle is the home of UC Solar, a systemwide institude led by Professor Roland Winston with the goal of developing new technologies to harness solar energy and utilize it in novel ways. Also at Castle is Professor Patricia LiWang, whose lab is developing new ways to prevent the spread of HIV. Right next door her husband, Professor Andy LiWang, is studying circadian clocks, those mysterious biological timekeepers that signal our bodies when it’s time to sleep, wake or eat. From there it’s a short walk to the Mechatronics, Embedded Systems and Automation Lab, where Professor YangQuan Chen and his team identify ways drones can optimize tasks that humans execute inefficiently. UC Merced recently extended its lease at Castle to 2020, but university administrators can only speculate about the facility’s long-term future. As the Merced 2020 Project moves forward, newly constructed lab space should accommodate researchers who are currently at Castle. Some administrators envision a future where Castle serves as a university-backed space for startups — the San Joaquin Valley equivalent of those legendary Silicon Valley garages that launched Apple and Hewlett-Packard.